Watches with digital displays are the alternative to classic analogue watches. 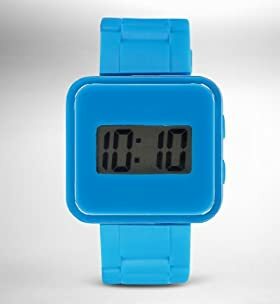 Instead of a watch face with numbers or dots at regular intervals and moving hands to show the time, digital watches use a small screen to show the time with digits that increment as time passes. Digital watches make it simple to tell the time. Instead of working out the time from the hands the time is instantly available just by looking at the numbers displayed in the screen. Digital watches have the added feature of showing either a 12hr clock or a 24hr clock. Deciding whether it is half past eleven in the morning or evening is simple as the 24hr clock would show 1130 or 2330. Some digital watches can also display the time for countries around the world. When travelling this can be helpful to know what time it is locally and at home. For International business having world time at your fingertips can be vital for important phone calls or meetings. It can be a cool feature to show your friends at the pub. Digital watches are great watches for children. Whilst it’s important to be able to read the time on an analogue clock or watch having digital time is simply and can aid numeracy skills too. 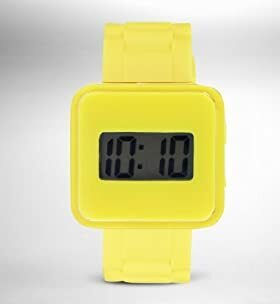 At Watches.org.uk you’ll find many watches suitable for children in bright, fun colours with exciting features as they learn to read and tell the time. Digital watches have evolved since their arrival and can do so much more than just tell the time. Using the powerful internal battery or solar power from panels within the watch there have been many features that have come in and out of fashion such as the date and calendar features, calculator features to watches with GPS, Internet access and live TV. Despite the evolution digital watches remain an inexpensive watch suitable for work, home and for sports. Most digital watches are water resistant and include the manufacturers guarantee.